Cooper Car Wax represents the future of paint sealants, a turning point when polymer technology takes a massive step forward. Traditional sealants can sometimes last up to six months, but Cooper Car Wax’s advanced cross-linking polymers can last for up to a year on a daily driver! Cooper Car Wax represents the future of paint sealants, a turning point when polymer technology takes a massive step forward. Traditional sealants can sometimes last up to six months, but Cooper Car Wax’s advanced cross-linking polymers can last for up to a year on a daily driver! Its slick, glass-like finish helps to release contamination, which makes it perfect for vehicles in harsh climates. Tough molecular bonds allow it to shrug off weathering and fallout with ease. Today’s vehicles are exposed to increasingly hazardous fallout, but with Cooper Car Wax, you can now protect against it. 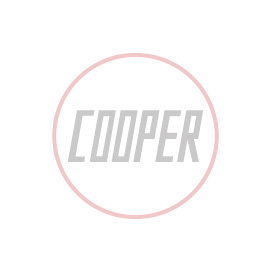 Like all Cooper car care products, Cooper Car Wax is formulated to suit the needs of professional detailers, but can be used with great success by detailing enthusiasts and first time detailers as well. Cooper Car Wax’s high-solids formula is based on cross-linking, friction-bonded polymers, with built-in UV absorbers to protect against fading. It will also help to prevent damage from acid rain etching, road salt, bird droppings, bug splatter, tree sap, and industrial pollution. Even strong wash products will not remove Cooper Car Wax immediately, and 6-12 months of durability is easily seen. We originally created Cooper Car Wax for customers requesting long maintenance intervals, or who drove their vehicle under very harsh conditions. Despite its utilitarian origins, Cooper Car Wax managed to surprise us all with a stunningly glossy, glass-like finish. After an application of Cooper Car Wax, cars, motorcycles, and 4X4’s look like they have had another layer of clearcoat applied, even if they didn’t have one to start with! Cooper Car Wax is the perfect choice for brutal northern winters, or long motoring trips abroad, and will impress sealant lovers with the ultimate in low-maintenance protection. Let’s face it, we’re all searching for the best way to protect our pride and joy. Conventional waxes and sealants are great options, but can require frequent maintenance to keep them at their best. Sometimes you just don’t have that much time to spend maintaining your car. Nanotechnology coatings are one option, but they can be expensive, and very demanding to apply. Cooper Car Wax is a simpler, easier option to these exotic coatings, and still offers truly substantial protection. Cooper Car Wax really is the future of polymer sealant technology.